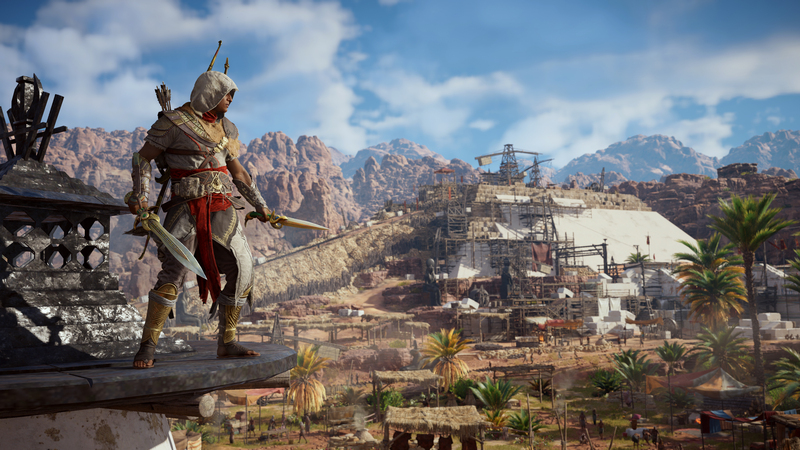 Today, Ubisoft has announced in detail of the content that will be coming to Assassin’s Creed Origins after its release. 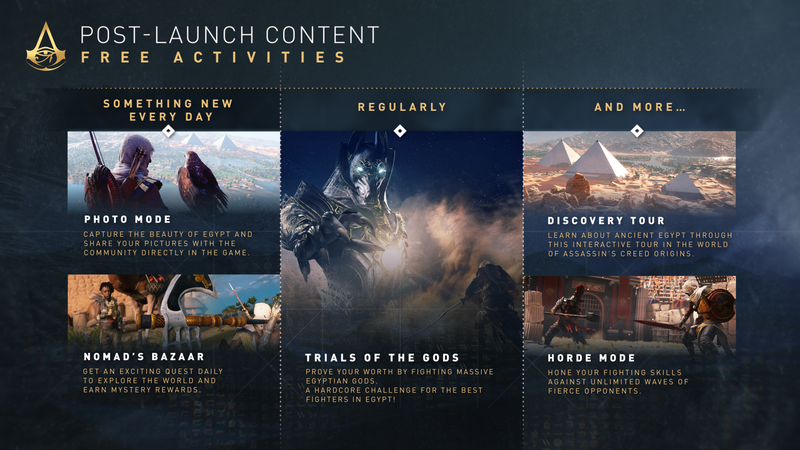 Players will continue to have reason to explore the expansive and mysterious ancient Egypt with several hours of new storyline content, quests, timed events and customization items. Just below is information of what the DLC content entails. 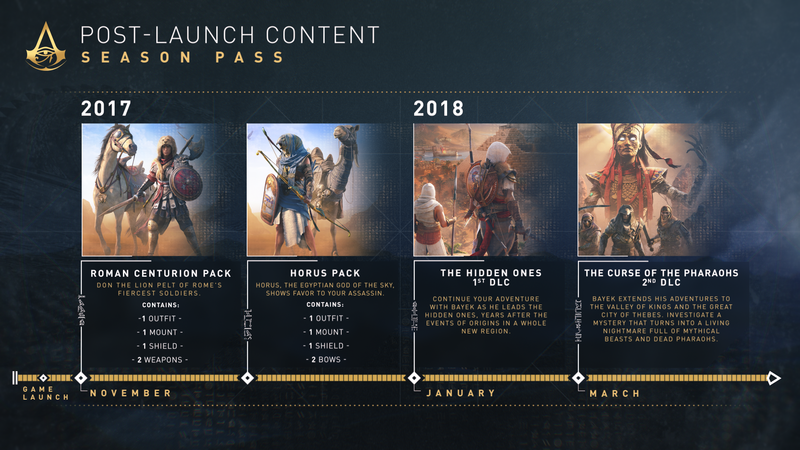 DLC 1 – The Hidden Ones: This story-driven expansion builds upon the growth of the Brotherhood, taking players to a point years after the events of Assassin’s Creed Origins, as they clash with an occupying Roman force in a new region. This expansion will extend the level cap, allowing players to keep on making their character progress. Available in January, 2018. DLC 2 – The Curse of the Pharaohs: In this story-driven expansion focusing on Egyptian mythology, players will fight against undead pharaohs and explore a new, mystical realm. 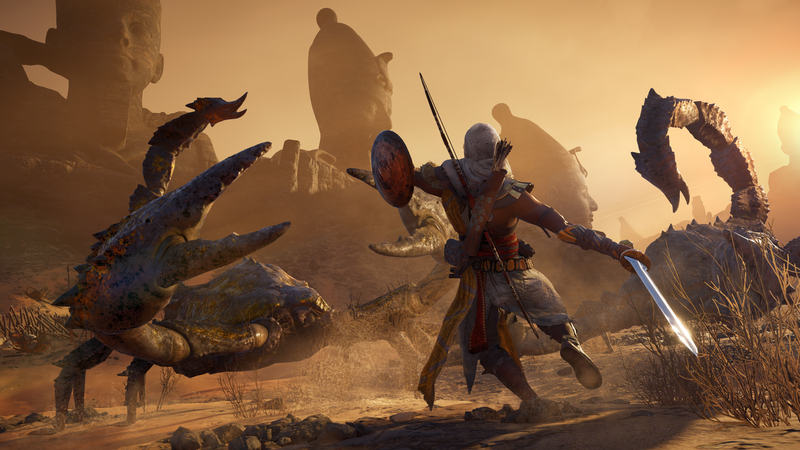 During their journey, players will encounter famed Egyptian beasts such as Anubis warriors, scorpions and more, as they investigate the cause of the curse that has brought the dead pharaohs back to life. The Curse of the Pharaohs will increase the level cap further and introduce brand new Abilities. Available in March, 2018. The Trials of the Gods: Epic boss battles against Egyptian gods that take place during special timed events – victorious players will receive prestigious rewards. The first Trial of the Gods event will be available 15 days after the launch of the game. The Nomad’s Bazaar: A wandering merchant gives players daily quests to complete in order to earn mysterious exotic rewards. Available at the launch of the game. 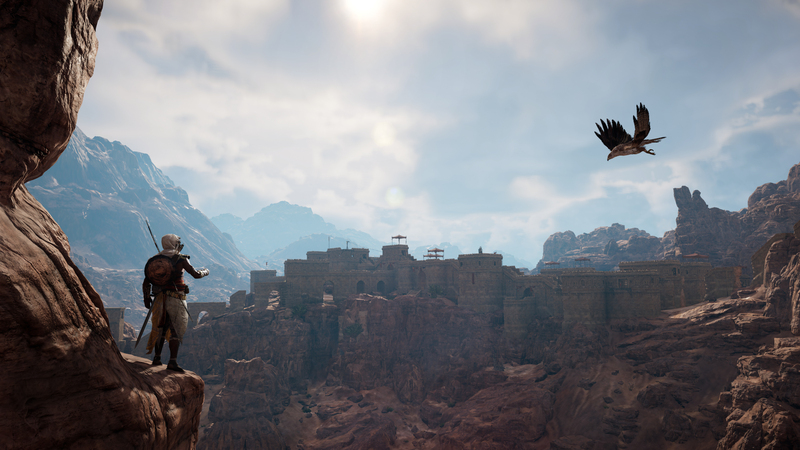 Photo Mode: Players will be able to capture and share the beauty of the Egyptian landscape and indulge their inner wildlife photographer while discovering in-game pictures taken by other players. Available at the launch of the game. Horde Mode: Players will fight endless waves of enemies in the Gladiator Arena. They will be able to compare their scores with their friends and challenge them asynchronously. Available in early 2018. 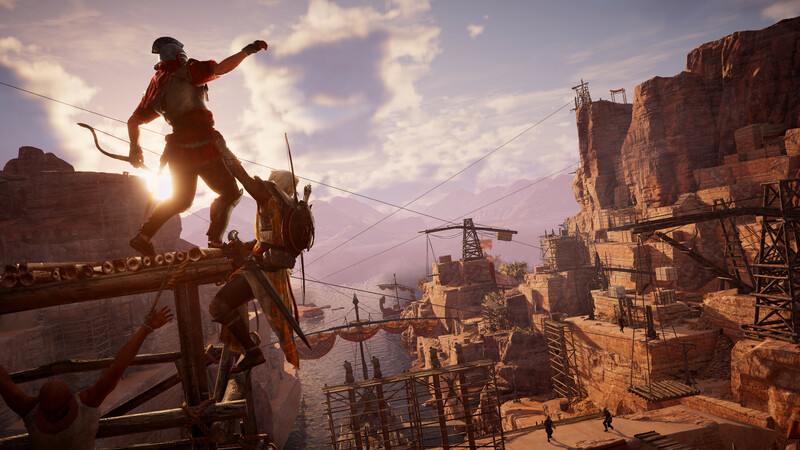 Discovery Tour: This new educational mode turns the world of Assassin’s Creed Origins into a combat-free living museum and will give everyone the opportunity to learn more about Ancient Egypt through guided tours curated by historians and Egyptologists. Available early 2018.